1-) How do you evaluate the last 10 years of the Turkish foreign policy? In the 21st century, foreign policy ought to serve the interests of the people. People deserve better democracy, rule of law, gender equality, social rights and economic growth with sustainable positive impact on the technological progress, environment and the income disparity. 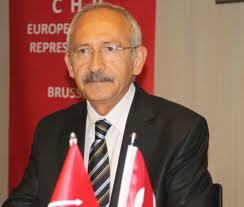 Turkish foreign policy has been trying to adapt to rapid globalisation of the last 20 years and marked several success. However, it has mainly remained behind the progressive trends and been unable to be innovative and people-oriented. One part of the problem is inherent to the narrow scope of the foreign policy itself. Modernisationefforts of the diplomacy with more focus on the economic and social progress of the country have been better promoting Turkey’s trade and energy interests, without however creating a coherent vision and toolbox for action meeting the challenges. Specific problems with Cyprus and Armenia have remained also unsolved because of weak proactive leadership by Ankara. Beyond that, the essential problem is in the way Turkey has evolved loosing the basic pillars of its softpower: a country in a permanent move towards the EU membership, driven by democratic reforms and social development. There is a very disturbing lack of coherence between the discourse and the practice. Turkey’s official aspiration to be a global player, a G20, NATO and Council of Europe member, an EU accession country and a natural partner of the Transatlantic Partnership is a justified target. However the legacy of the government in the last 12 years contradicts deeply with this foreign policy aspiration as it does with the Turkish people’s future. 2-) Arab Spring is one of the most important issues occupying the international agenda in recent years. We see that Arab Spring remained stuck in Syria at this point. What was or what was not Arab Spring for you? There was an Arab spring. It has been a reality that I have felt and faced in my encounters in the Arab countries. But all seasons have an end and unfortunately the winds of change were not sufficient for a radical shift toward democracy. Nevertheless, nothing will be same neither and I am confident that the youth in the Middle East will finally built societies based on the values of freedoms, pluralism and rule of law. 3-) Were the Gezi Park events a reflection of Arab Spring on Turkey for you? How would you assess the Gezi Park events in a general meaning? Gezi Park events have in common with the movements in Cairo, Athens, Paris or Kiev of being a challenge to the ageing democracy and its limits in meeting the expectations of the 21st century’s new generation citizens. On the other hand, these are certainly movements in different national contexts with different parameters. The Gezi movement has been a post-modern, creative and ecological protest demanding an accountable and transparent way of governing the city and the country. Its positive effect will last long-time. It demonstrated that a progressive and modern segment of the Turkish society is not a minority, and has a qualitative comparative advantage. Since the Gezi movements of June 2013, the Turkish citizens have been protesting all over Turkey, demanding the respect of the pluralistic society, individual freedoms, women rights, secular public sphere, accountability of the political authority and the protection of the environment. I am proud to belong to these progressive movements. We in Turkey contribute also to Europe’s social evolution in developing innovative methods of democratic expression. The challenge for the 21st century’s first generations of leaders, whether they are in the politics, business, media, or the civil society, is to define new transnational set of values, a progressive sense of correctness and idealism. For me the priorities would be the freedoms, ecology, science, and fight against the poverty. In this respect, the wisdom, innovative thinking, and the talent to use the big data are important qualities of leadership. For the Gezi generation of citizens and politicians, it is a challenge to develop new tools of communication on the basis of mutual trust between politics and people and to formulate an agenda for collective action, to work for more innovative and inclusive politics. 4-) One of the most important agendas of Turkey is the ongoing solution process about the Kurdish Question. When we think it in terms of Turkey’s foreign policy, what does the solution process mean? The Kurdish question is a determinant factor designing Turkey’s future. Its solution shall only be in a more democratic Turkey, valuing the unity in diversity, decentralisation, parliamentry democracy and re-engaged in the EU membership process. 5-) Finally, by the Paris attacks, the Islamophobia discussions have currently flared up again. Is Islamophobia gaining strength in the West? Kader Sevinç is international relations practitioner, social entrepreneur and poet. She is currently a member of the PES Presidency Council (Party of European Socialists & Democrats); the EU representative the CHP, Turkish social democratic and main opposition party, in Brussels; a non-resident Transatlantic fellow of the SAIS (Johns Hopkins University – Washington); member of the PES Transatlantic Delegation-US, founder of the Brussels-based debate club, the Turkish Coffee Briefings; executive board member of the Progessive Thought Institute (Istanbul) and founder of the educational initiative, the Sinif-1B (Brussels). Kader Sevinç is an honors graduate from the Akdeniz University and holds her MA in International Relations from CERIS/Paris XI University and completed Jean Monnet European Integration Program, she pursued “communication in business” training at the Harvard University. She previously worked in the Akdeniz University’s EU research center, private sector, and in the European Parliament as advisor. She was awarded by the Turkish Industry & Business Association (TÜSİAD) for her entrepreneurship project and by the European Commission for her project entitled “Turkey’s transformation and human capital in the EU accession process” and by Young Tourism Leaders for her contribution to Turkey’s image abroad. 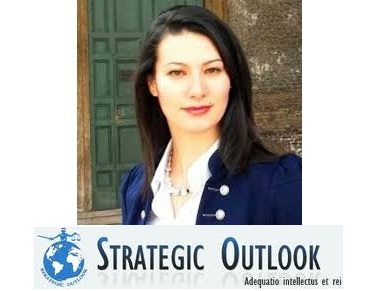 In 2013 Kader Sevinç was recognized by the Diplomatic Courier magazine and the YPFP in Washington DC among the most influential young foreign policy leaders in the world. She is an editorial board member of the Siirden poetry magazine in Istanbul, co-author of a political poetry book “The European Constitution in Verse” (2009, Brussels) and plays in the theater show of “100% Brussels”. Her poetry book “Kırık Ülke” (Broken Country) was published and her bi-lingual jazz/poetry album “River-long Loneliness” was released in 2014. Gallery | This entry was posted in Uncategorized and tagged chp, foreign policy, kader sevinc, strategic outlook, turkey. Bookmark the permalink.